Still recovering from our older son George’s 18th I spent some down time in the garden today looking for butterflies. Appropriately enough, as next week is Butterfly Conservation’s Big Butterfly Count, sponsored by Marks and Spencer. I counted 6 species in half an hour loitering around the herb garden – Common Blue, Large White, Gatekeeper, Meadow Brown, Small Copper, and Brimstone. Nothing unusual to get the hardened Lep excited, but really good news for me; when we moved here there were only Whites around, so we’ve done our bit to create good habitat for butterflies. 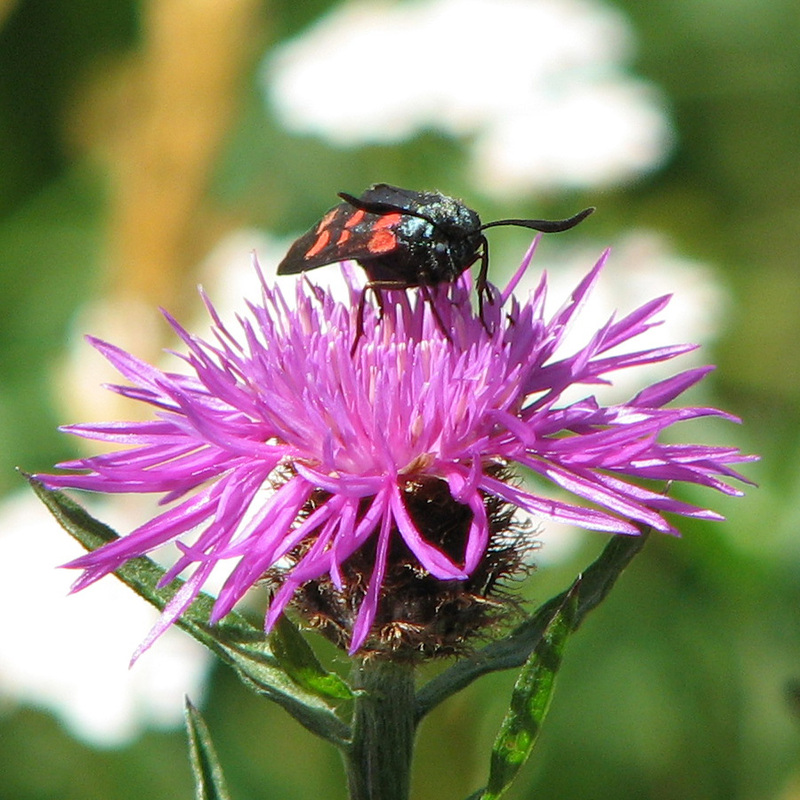 I’ve also recently seen Six Spot Burnets and Large Skippers. In a very modest sort of way I feel like a kind of God; there’s a lot you can do to build up a good population of colonial species like these. In the herb garden Oregano seemed to be a particular magnet for the Browns, and in the borders Veronicastrum for the Brimstones.These guys are a particular success, as I hadn’t seen one around here at all until now. Why have they suddenly arrived? Because I planted a short stretch of Alder Buckthorn, their larval food plant, in a section of hedge. You can see how tasty it has proved. 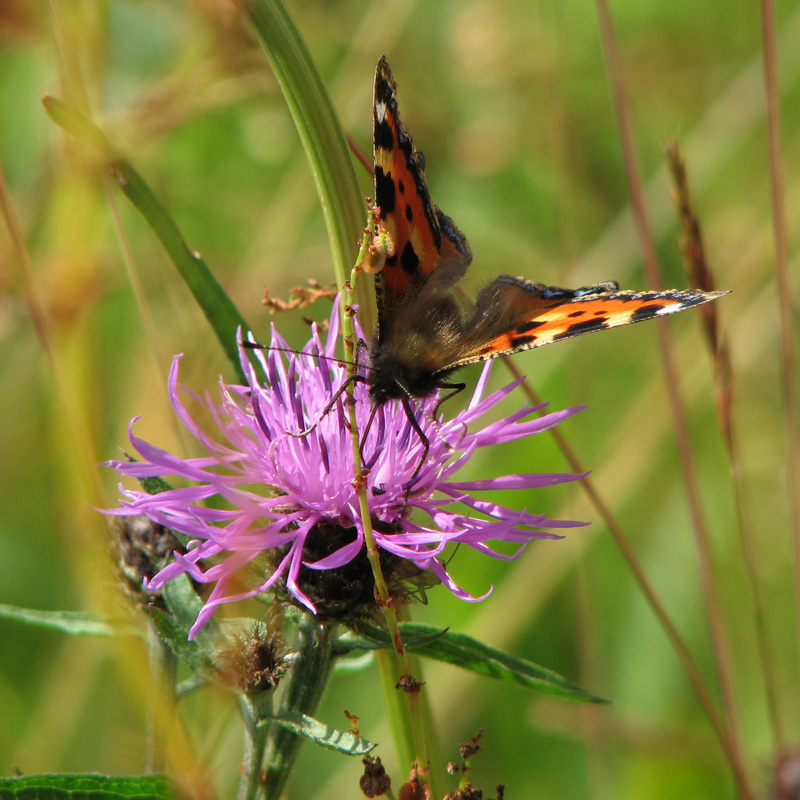 With butterflies it’s not just the nectar plants you need – it’s their whole habitat. When you get that right the effects are pretty much instantaneous. I think there were Mason Bees of various types and Leaf-cutter bees too. Since we made our solitary bee box I have become more aware of these chaps and, consequently, see many more of them about, but still struggle to work out who is who. There are, after all, over 250 species to get to grips with and they all move fast. More work required. 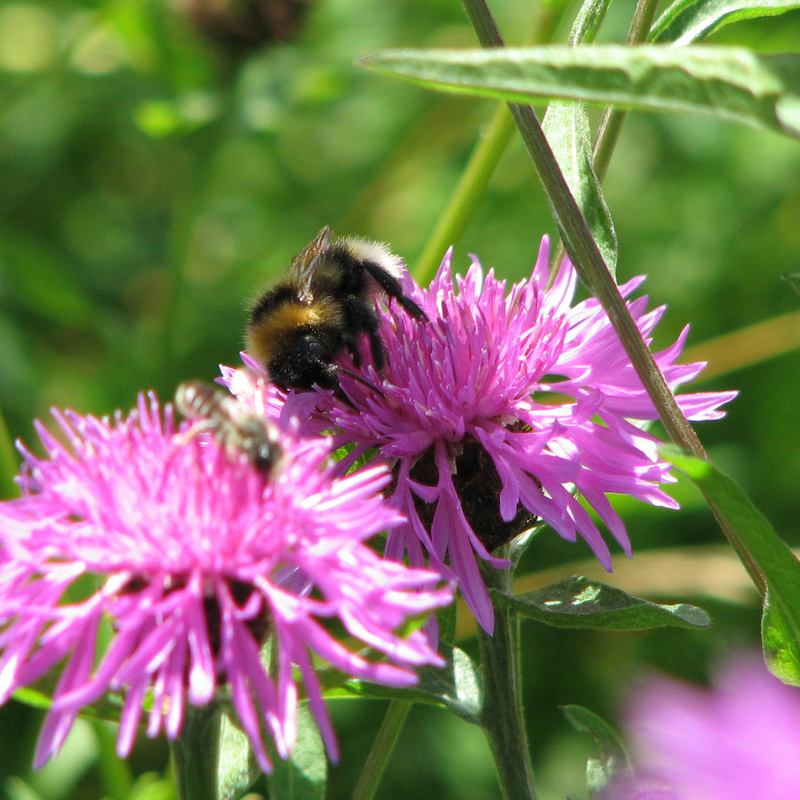 I am marginally more at home with bumblebees. and relatively short tongued species around the nectar rich area where I was snapping. My identification skills start to go awry at this point, however. Apparently the key difference between B. hortorum, the Garden Bumblebee, and B. lucorum, the White-tailed bumblebee, is the yellow band at the bottom of the thorax. Tricky. I hope I’ve got this right. 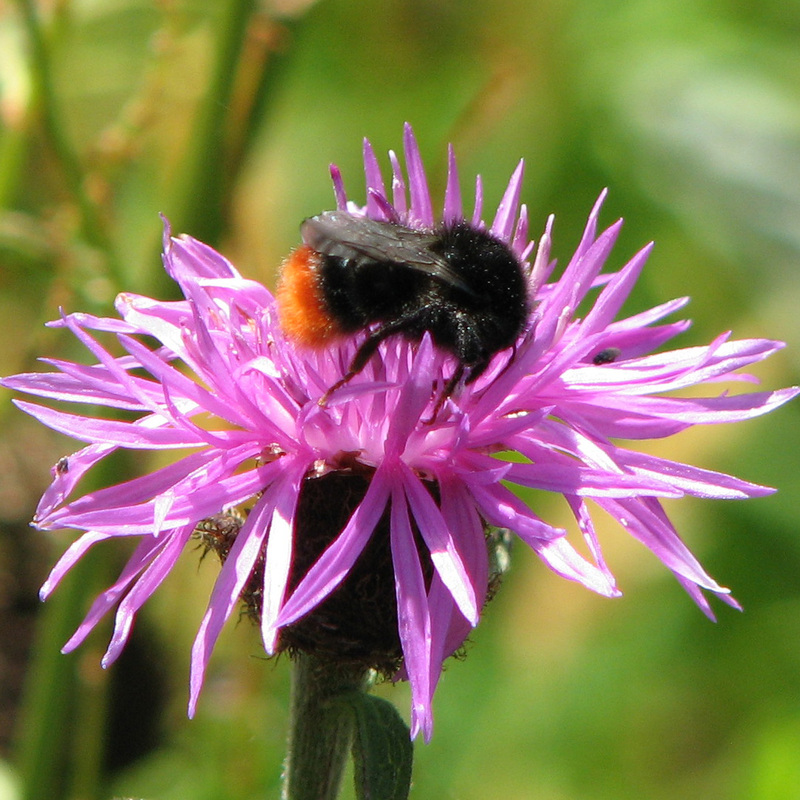 I think this is a White-tailed Bumblebee – i.e. without yellow band on thorax. and they are strong enough flyers that, like butterflies, we also entertain migrants. I’ve always been told their larvae have an insatiable appetite for greenfly, but it turns out that only about a third of them eat aphids. They’re interesting and attractive insects, though, and – surprise surprise – many are in decline as a result of habitat loss. 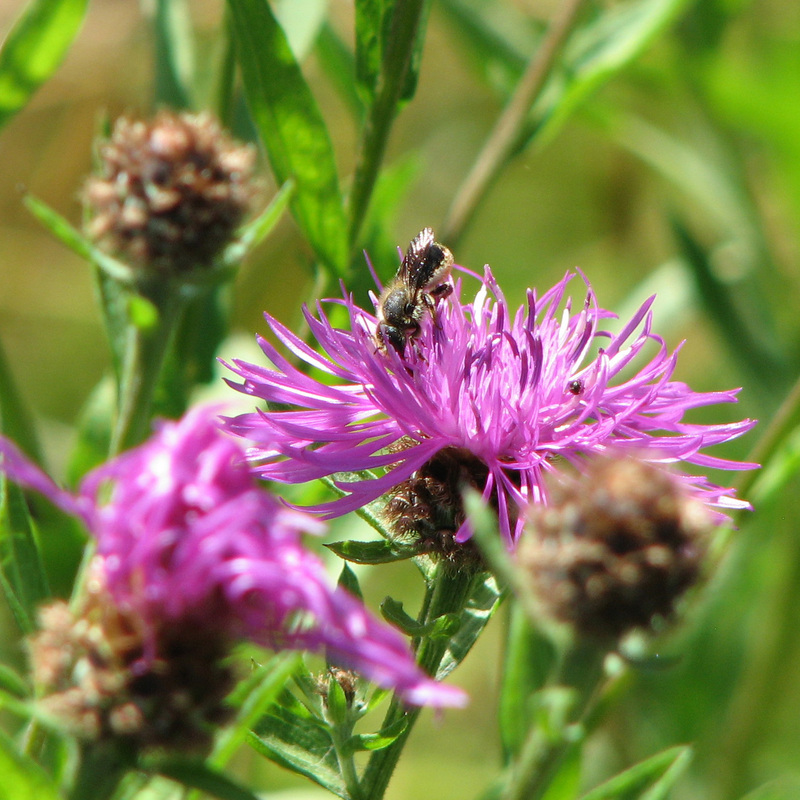 I thought I’d add some to my gallery, as they frequented the Knapweed too. The meadow will start to look tired in a little while, and once some of the Knapweed goes to seed I’ll cut it. I don’t need the hay, so it doesn’t matter if it’s all stalky. The sheep are already running through some sections of it where there’s nothing left to flower to save me the effort of cutting it. In the meantime I’m looking forward to more coffee breaks out there in the sun, and enjoying it as much as the birds seem to be. I haven’t even begun to describe the Flycatchers, finches, martins and swallows… I’m just amazed by how much there is going on in such a small area, and equally amazed at how easy it has been to establish such a rich habitat. Immensely satisfying – go on, give it a go! 1. Always prefer single flowered cultivars over double flowered. 2. Don’t buy the fancy hybrids you saw on offer at the local garden centre. 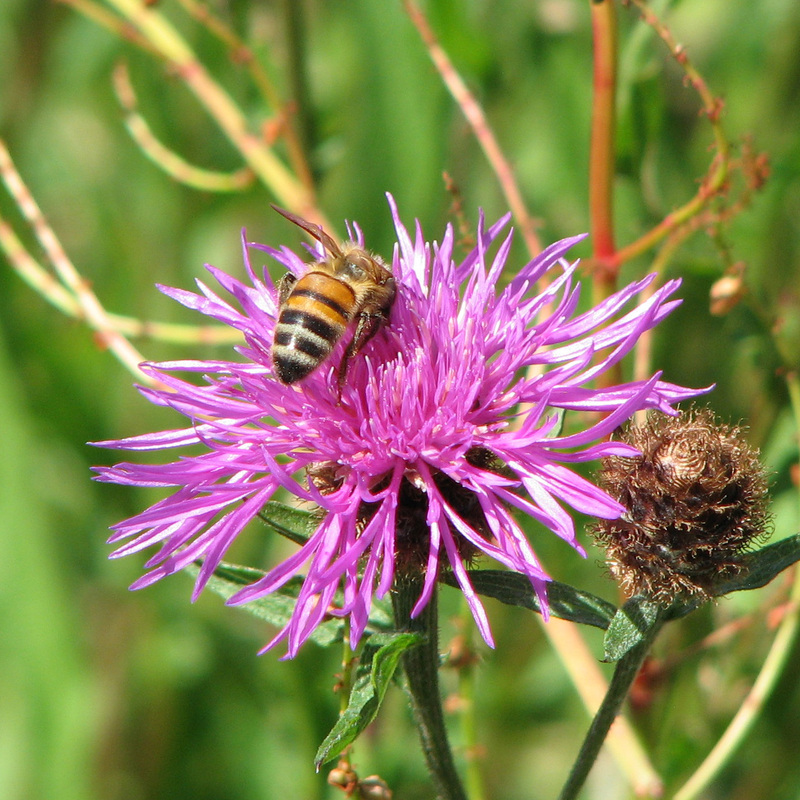 If they’re not sterile the chances are that any pollen or nectar they have will be inaccessible. Think wildflowers, or cottage garden perennials, or herbs. 3. 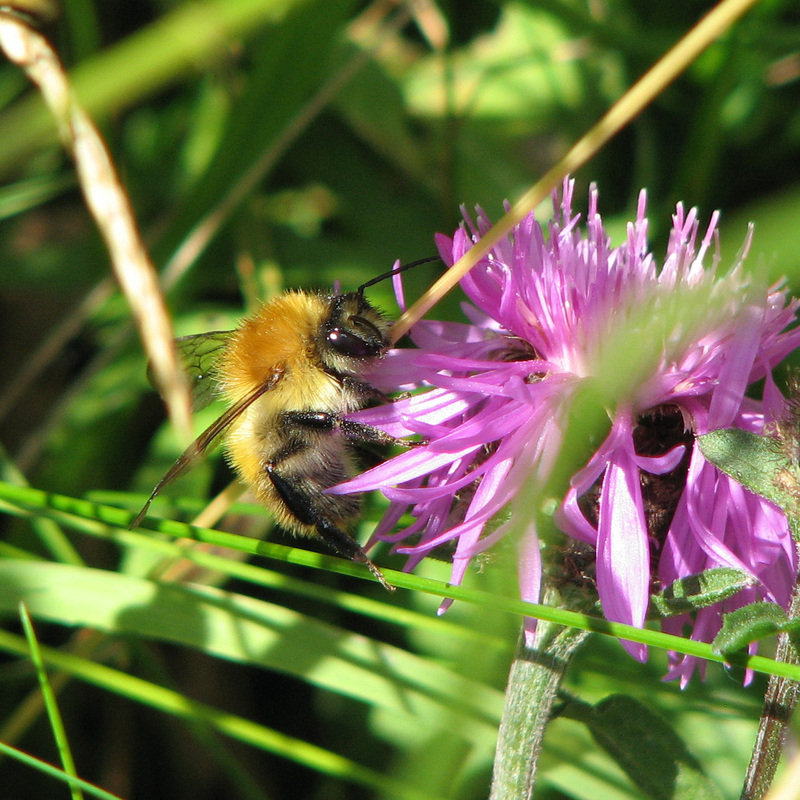 Try to ensure that you provide a continuous supply of forage throughout the active season for bees and butterflies. 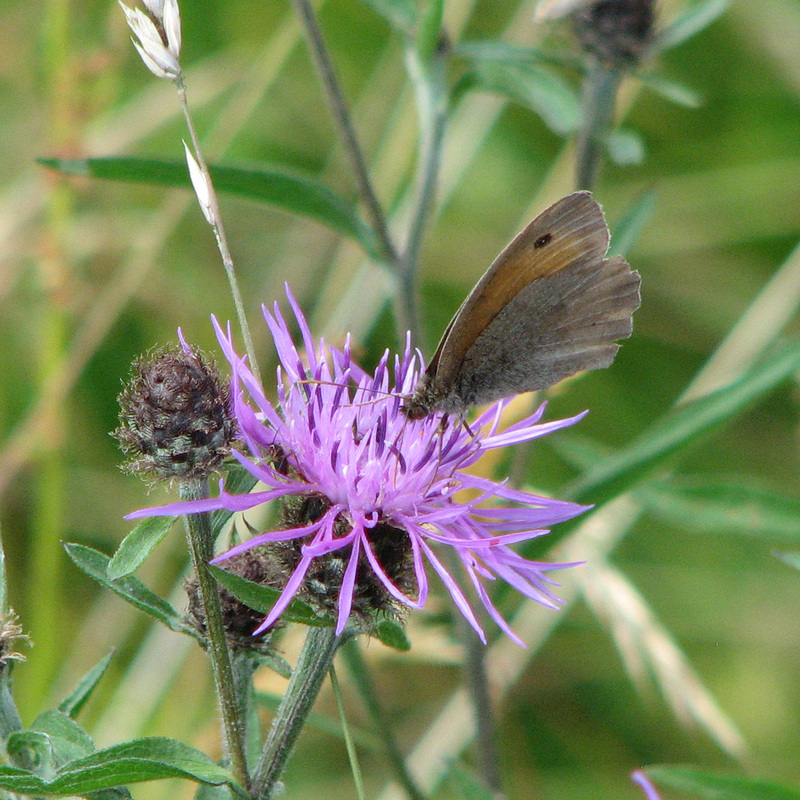 Different butterfly species and different generations are around from spring until autumn. 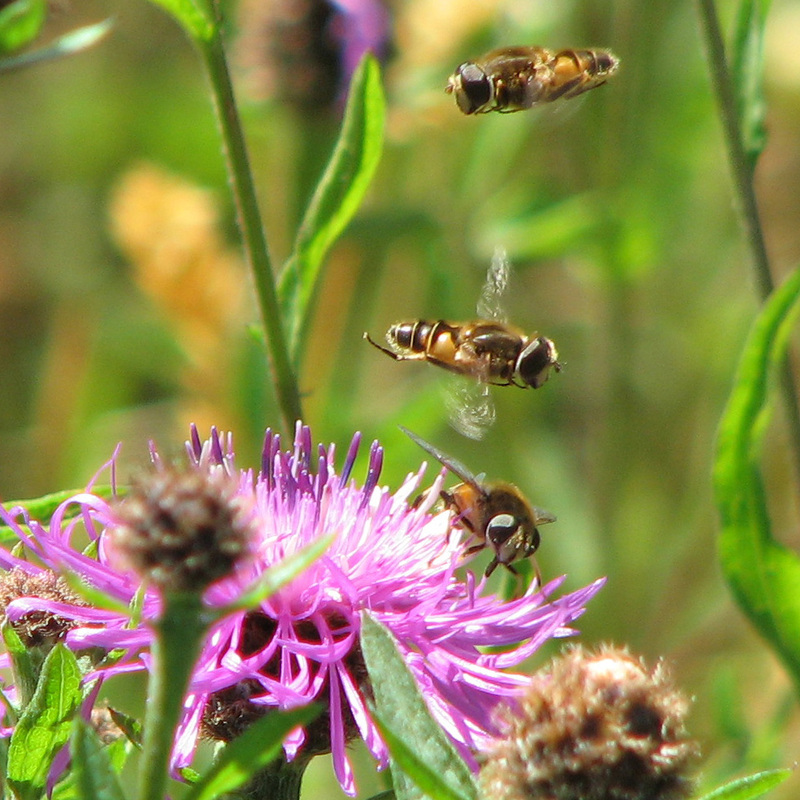 The trend towards warmer winters means bees could be flying almost any time throughout the year; they need pollen particularly in the spring and early summer for their brood, then increasingly nectar for honey. 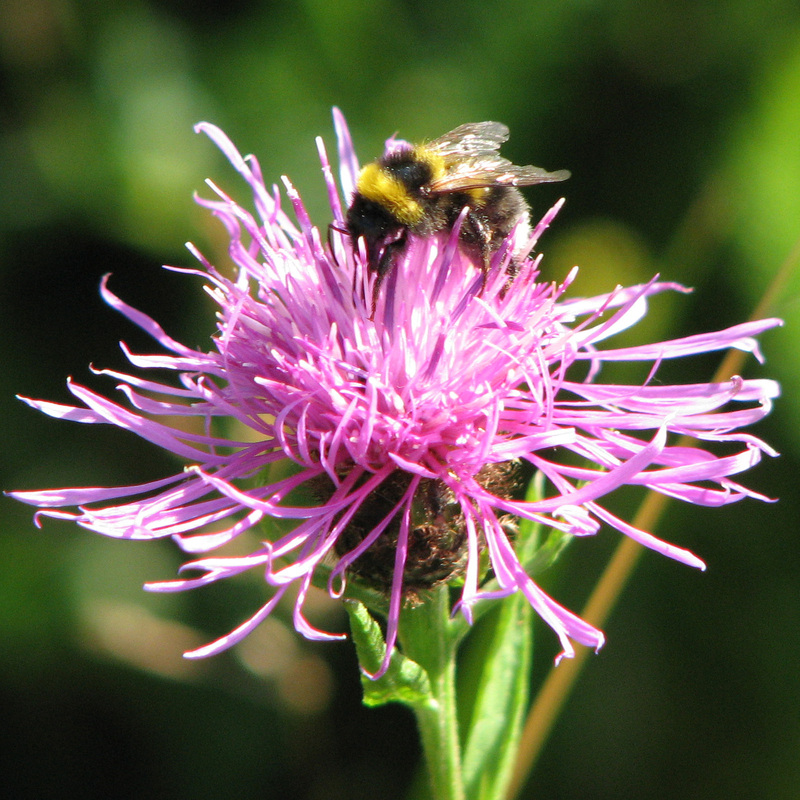 Traditionally beekeepers referred to a period in mid summer as the “June gap”, when there is often a temporary shortage of flowers which it is useful to compensate for too. 4. Plant in clumps. Jan Miller makes this point in her helpful article in the latest edition of The Cottage Gardener; butterflies can’t see well and will find groups of flowers more easily. 5. Plant a variety of plants. Bees seem to be healthier if they are not surrounded by a monoculture, and on a practical basis different species need different sorts of flowers as they have different length tongues. 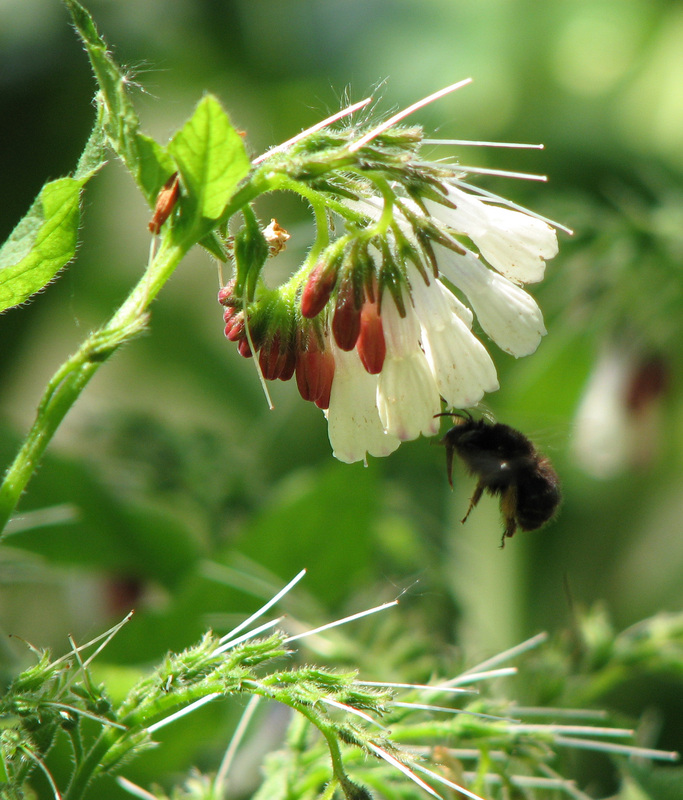 Long tongued bumblebees and solitary bees like the Hairy Footed Flower Bee love comfrey, for example, but short tongued honeybees can’t reach its nectaries. 6. If you’re particularly keen on bumblebees, concentrate on plants from the pea family (Fabaceae), like the Everlasting Pea (Lathyrus latifolius) or Red Clover (Trifolium pratense). Dave Goulson explains why in his book “Bumblebees”; Fabaceae pollen has the richest protein and highest proportion of essential amino acids. 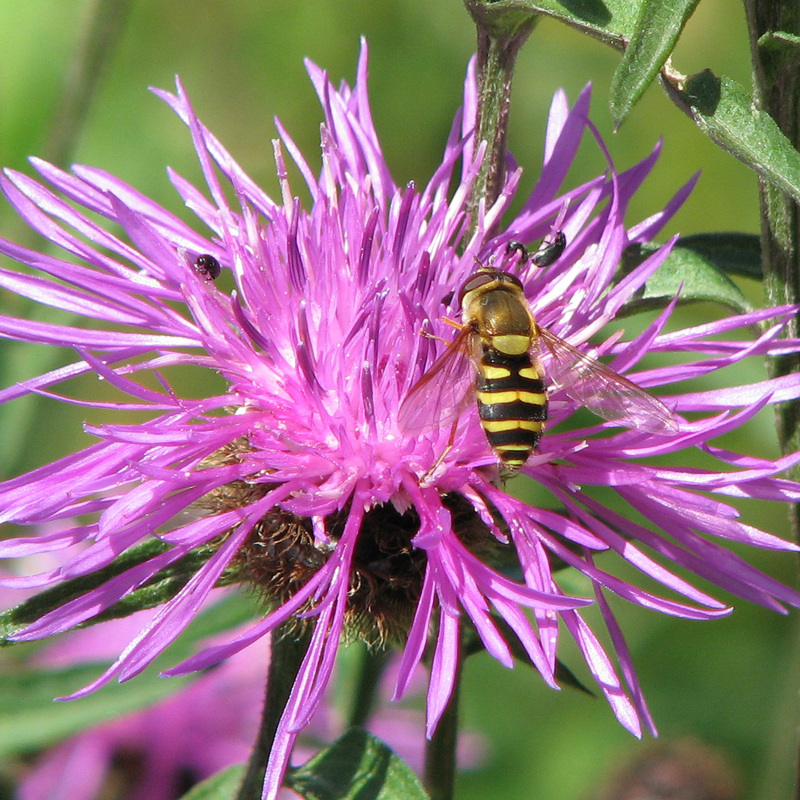 These plants are also of great importance as a source of nectar. 7. Plant British plants, particularly for butterflies. 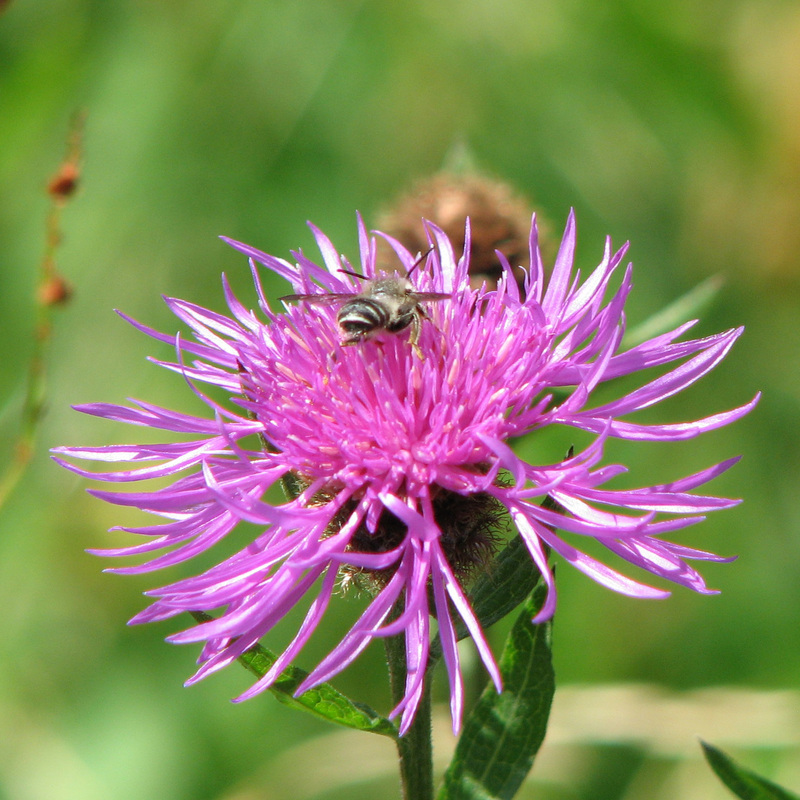 They need natives to provide food for their larvae, and most need very specific plants. Yellow Brimstones will come to your garden only if you plant Buckthorn. Andrew George’s book “The Butterfly Friendly Garden” has an excellent list of native plants and their associated butterfly species. 8. Plant helpful trees if you can. There are a lot of flowers on an apple tree. 9. Make a wildlife pond. Not only will you then be able to grow several of our most beautiful and nectar rich wildflowers (which we’d be happy to sell you! 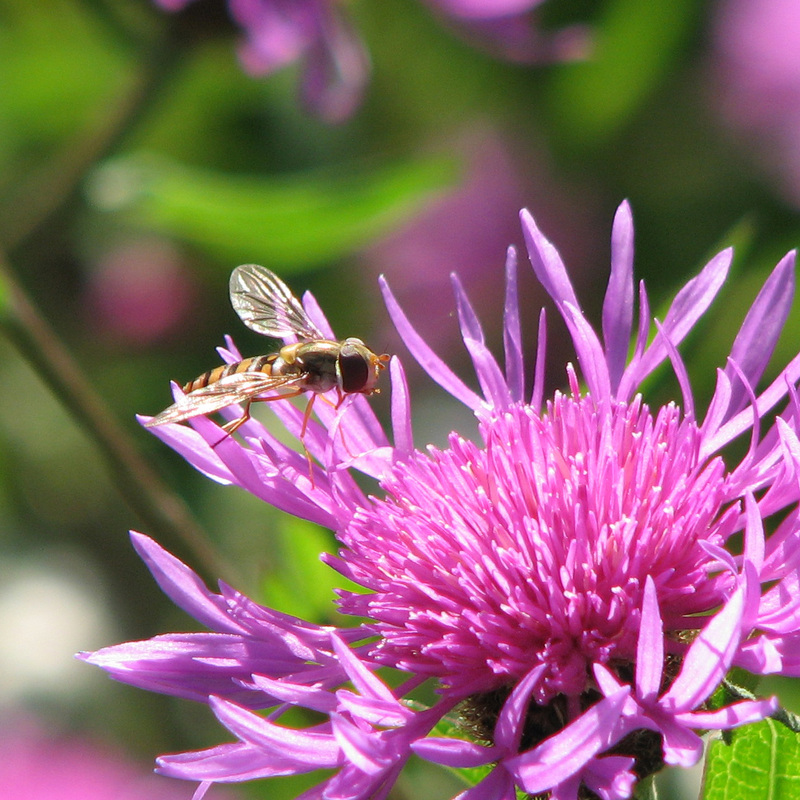 ), but the water is good for every insect in the garden. 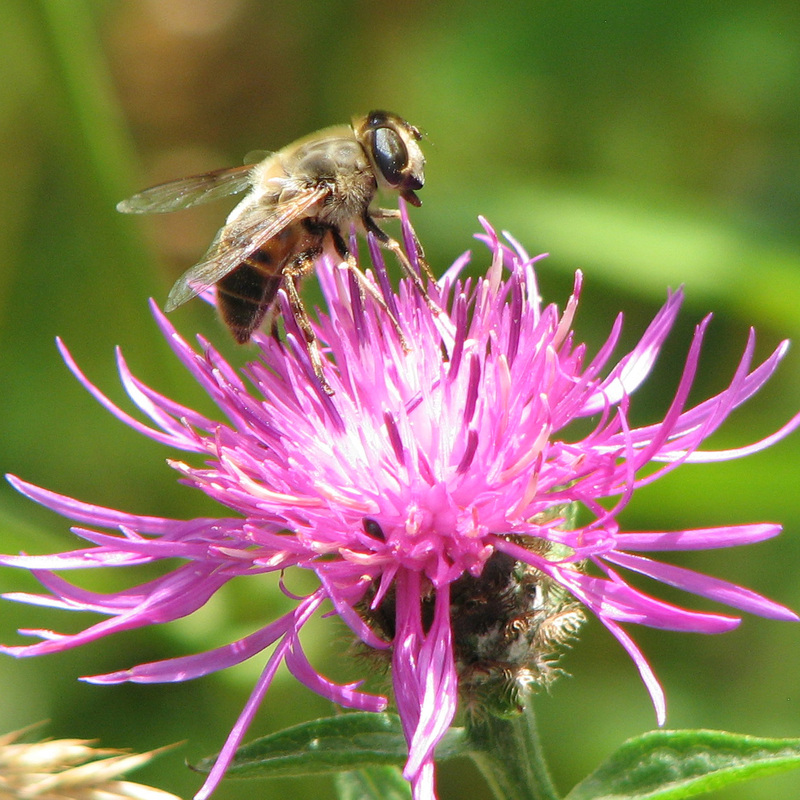 For bees specifically, honeybees collect water (for their brood, to maintain humidity in the brood nest, and to dilute their own honey), and the mud is useful for mason bees to make their nests. It’s nearly September and there seems to be a new urgency in the air. Now we have taken our honey the honeybees, battling wasps at the hive entrance, are building up stores ready for winter. The butterflies now look very ragged and faded, as do this year’s Bumblebees – although the new queens look pristine, and are feeding frantically to build up fat for their hibernation. I’m acutely aware of the need for nectar flow before the ivy flowers, and for us although Verbena and some Asters seem to do well for insects at this time of year the plant that ticks all the boxes is Sedum, or Stonecrop (spectabile) and Orpine (telephium). 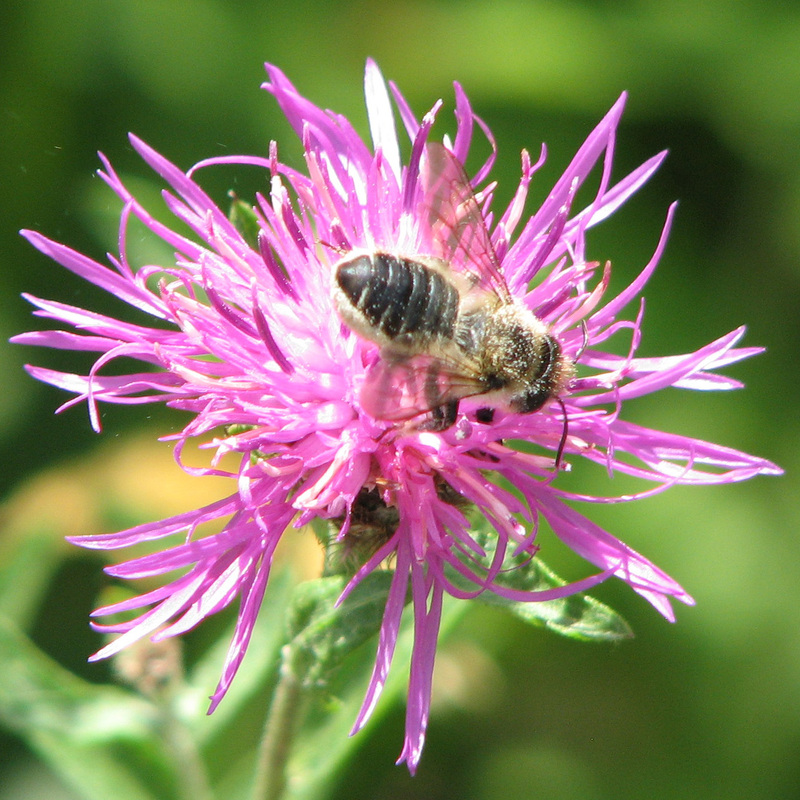 The large flowerheads with their scores of florets are perfect for most pollinators. We’ve devoted a nice big section of a sunny southwest facing border to it, where I grow three different varieties in order to ensure seamless foraging from late August to October. As ever, the fancier the cultivar the less helpful it is – I’ve had several failed experiments.